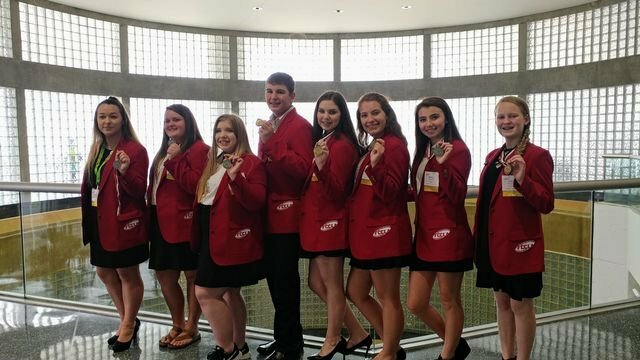 The SMS chapter of Family, Career and Community Leaders of America did an outstanding job competing at the FCCLA National Leadership Conference in Atlanta. Five members earned gold medals and three members earned silver medals. Three members scored the highest rating for the Southern Region in their event. Go Spartans!